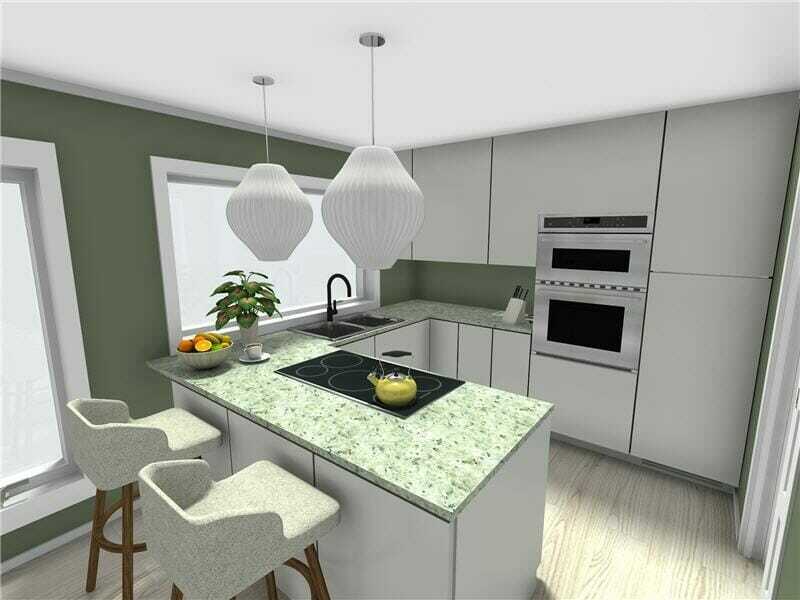 Looking for ways to make your kitchen design ideas a reality? You are not alone. The kitchen is one of the most important rooms in our homes. 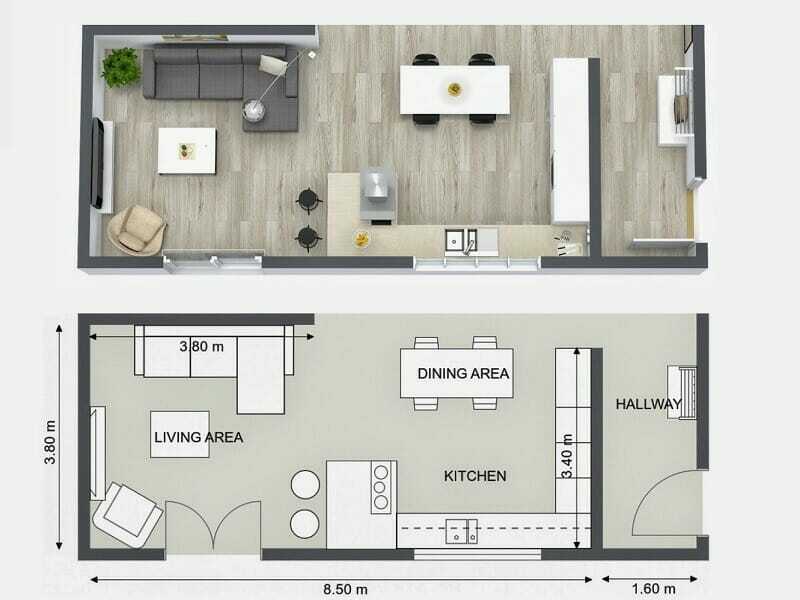 However, it is not the easiest room to design. 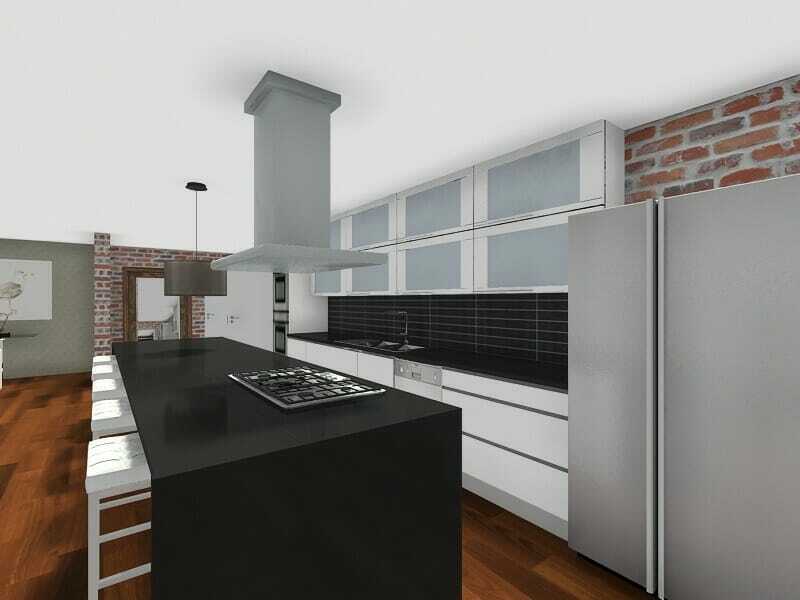 There are so many great kitchen design ideas out there that it’s hard to know where to get started and how to turn them into an actual kitchen design. 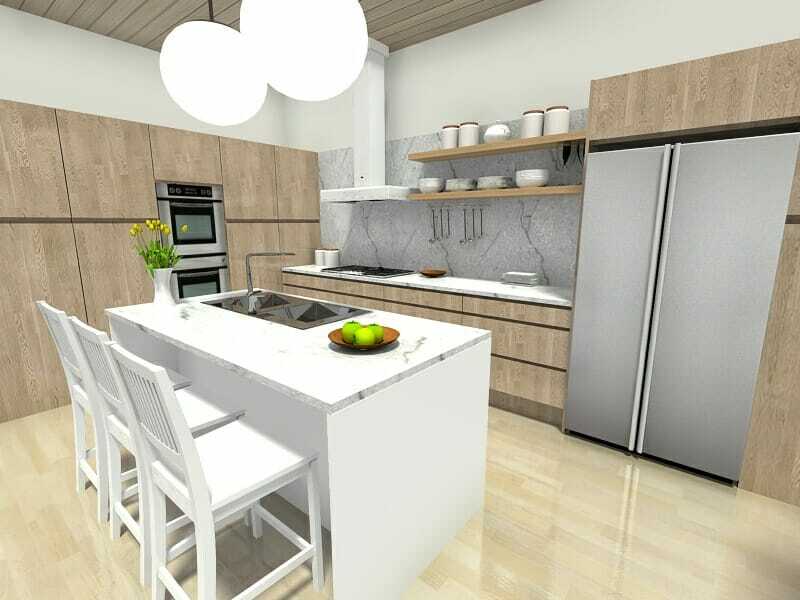 And not just any old kitchen design, but a design for your kitchen, that will work for your unique needs and lifestyle. Do you love to cook or is take-out more your style? We all have super busy lives, which flow through our kitchens every day. Therefore it’s important to choose kitchen design ideas that will work for you and your unique needs. When you know your cooking style, you’ll make better choices about which kitchen design ideas to prioritize. If you love to cook, countertop space is critical. Keep yours clear with plenty storage. Create a kitchen layout with a “kitchen work triangle.” If you have two cooks in your kitchen, consider adding a second prep sink. You’ll speed up your prep time and keep out of each other’s way. Also, make sure to include some open shelving, to keep your cookbooks close at hand – if you love to cook, you are likely to have a few. If you are short on time or cooking is not your thing, don’t trick out your kitchen with the latest gas cooker. Instead, keep your cooktop simple and invest in a double oven. A double oven will allow you to reheat several dishes at once. Look for models where the top oven includes a microwave function. If you are planning a small kitchen, look for a single oven that has the same convection/microwave combination. Do you have lots of dishes, pots, or pans? If not, consider doing away with upper cabinets altogether. Simply stack your dishes on open shelves near your dishwasher or sink. Eliminating upper cabinets opens a kitchen up significantly. If you have many sets of dishes, upper cabinets will work best for you. If some are display worthy, add some glass front cabinets to show them off. However, if you love the open look, you can create a modern open kitchen, by moving your dishes below counter into kitchen drawers. These are becoming very popular and are a great alternative to traditional upper cabinet storage. If you have lots of small appliances, consider adding a pantry closet or tall cabinet with shelves. You’ll keep your countertops clear and save lots of space in your smaller cabinets. Plus your appliances will be easier to find when they are all grouped in one convenient location. 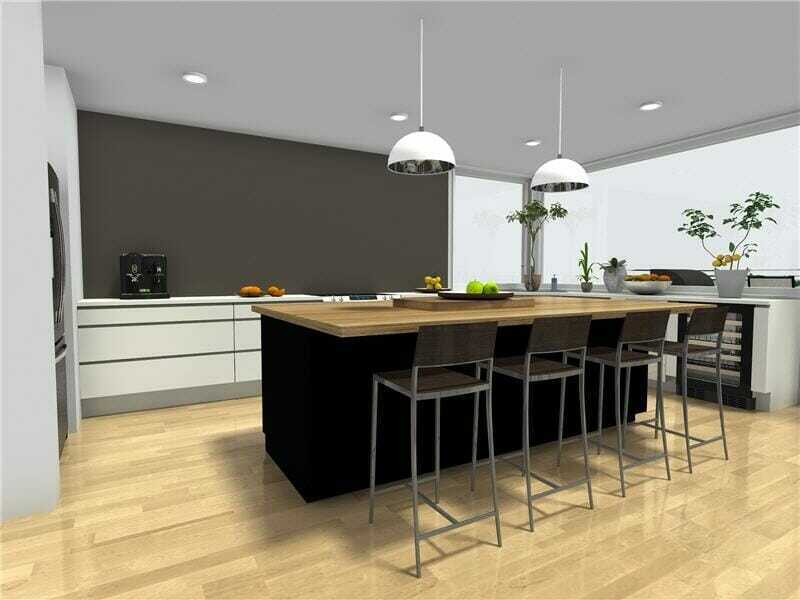 A kitchen island can define a kitchen zone, provide seating, countertop space, and storage. Love to entertain? If so, consider whether you enjoy doing so in the kitchen. We all know guests are drawn to the kitchen, no matter how big or small. If hosting dinner parties is your thing, you need a strategy to keep the conversation going and your kitchen functioning. Draw guests away by locating your dining seating outside your kitchen. A pass-through window is an effective way of keeping your kitchen connected yet delineated. In the kitchen, a kitchen island or bar counter with seating works just as effectively, allowing you to entertain and hang out while keeping guests out of your workspace. Another of my favorite kitchen design ideas is creating a separate beverage bar. Whether it’s a built-in wet bar or a simple bar cart, place it where you want your guests to congregate. Where do you and your family spend the most time? If it’s the kitchen, add amenities for the whole family. Create a kitchen desk to keep yourself organized and to provide a place for kids to do computer work. A center kitchen island provides a great place to congregate and to share in preparing a meal. 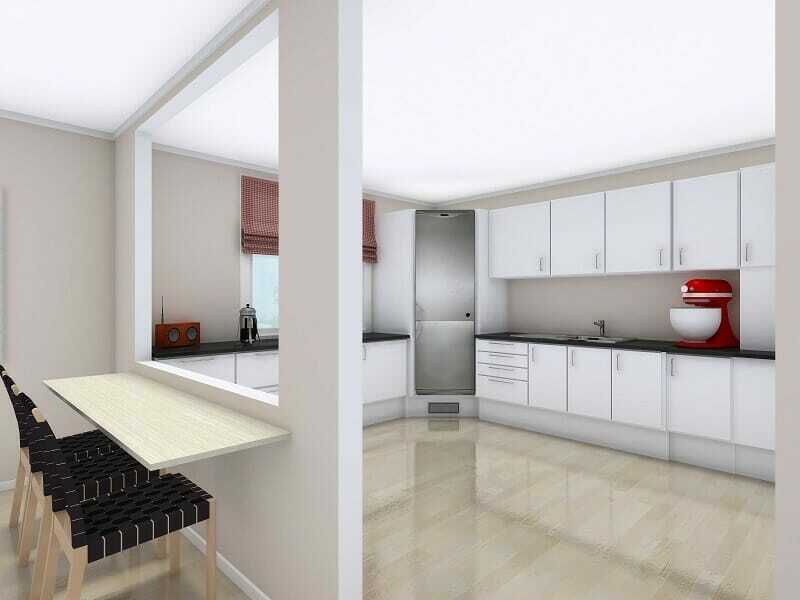 Or open your kitchen to your living space to stay connected to daily activities or keep an eye on little ones. 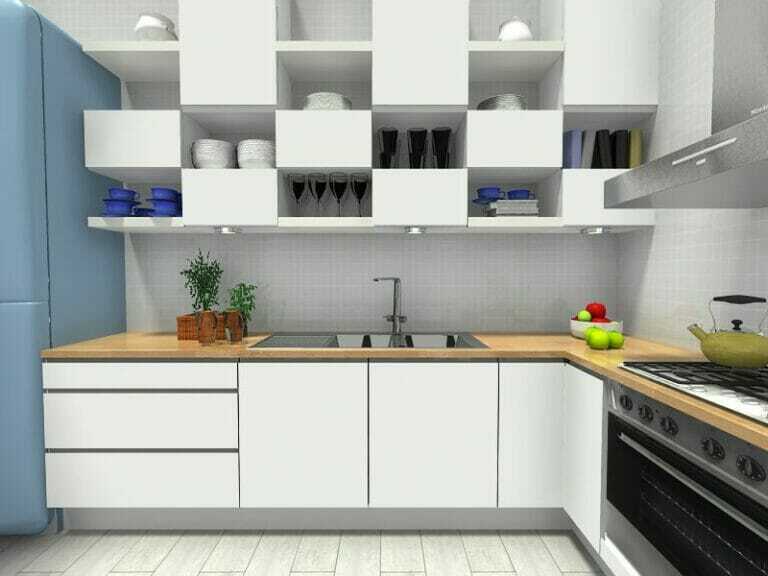 Get started turning your kitchen design ideas into a reality with these simple expert tips and RoomSKtcher Home Designer. 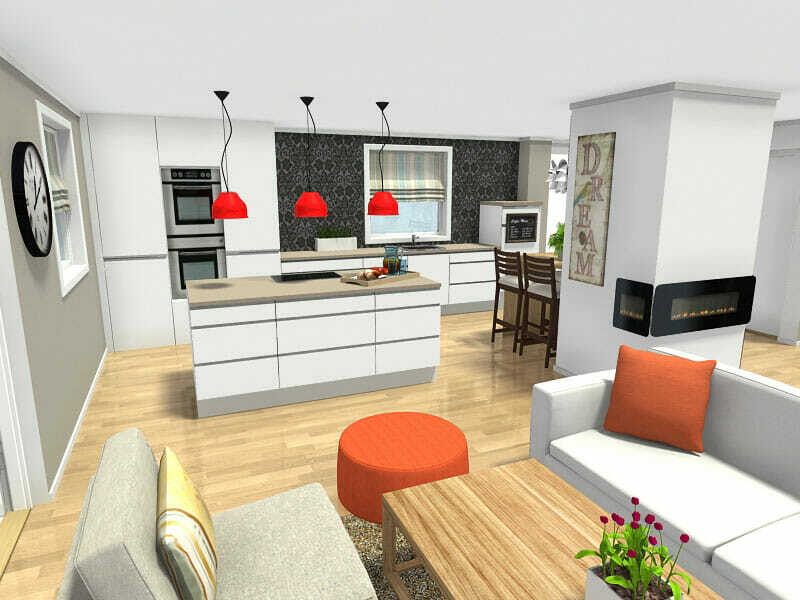 Learn how to plan your kitchen design with RoomSketcher today!